It’s 10:24 p.m. on Friday night after a long week on the road talking about the Engagement Economy. 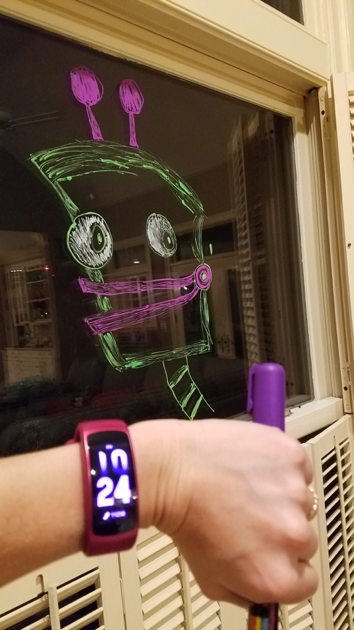 Instead of relaxing, I am attempting to chalk paint V-Bot, the mascot of Marketo’s LaunchPoint partner Vidyard, in time for my son’s 5th birthday party tomorrow morning. So how on earth did I get here? Well, I have been swayed by good swag, which has taught me several great marketing lessons that I’ll share with you in this blog. Throughout my 20 years in marketing, I have been to many conferences. Along the way, I’ve collected a bevy of swag–the good, the bad, and the boring. I will fully admit that I am a total swag hoarder. As an event marketer, swag can be a decent ticket item on your budget, but unlike, say, the upgrade to the carpet in your booth, it has greater potential to provide dividends after the conference ends. Swag is a universal tool that can help drive brand affinity with customers and partners as well as create brand awareness with net-new prospects. Swag gives you a chance to show your brand’s personality, and it makes its way home with attendees if done well. It’s like free advertising. At this point, you might be asking the style versus substance question: Should I bring good swag or good collateral? The answer? A mix of both. There is absolutely a time and place for distributing content at your booth, but in some cases, you’re better off keeping things short and sweet–welcoming the opportunity to engage and follow up with visitors post-event using your marketing platform. Far too many hard copy materials end up in hotel room recycling bins than make it home in attendees’ suitcases. But good swag has a way of finding its way home. 1. Be memorable, fun, or useful. Any combination of these characteristics can land your swag right in the sweet spot and make a lasting impression that makes your brand human. 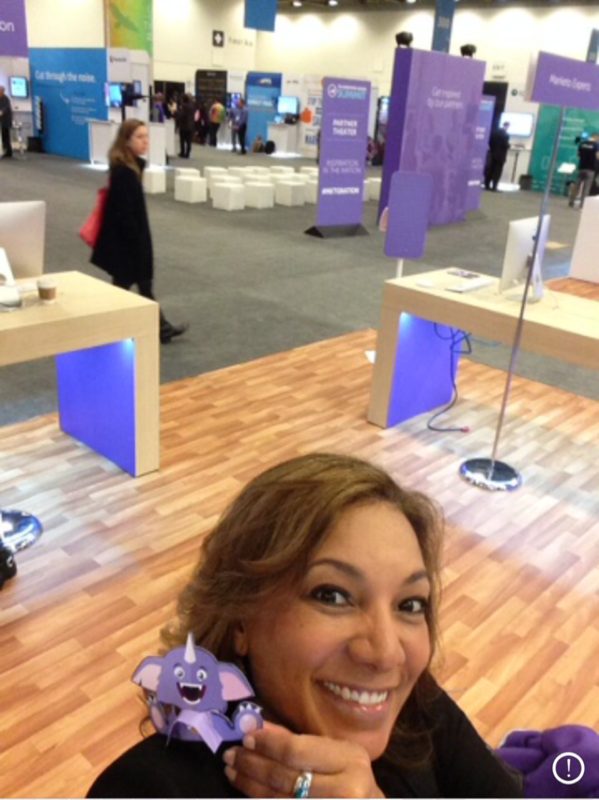 Not to toot Marketo’s own purple horn, but one example is the Marketo munchkin we gave out last year. The little purple guys were adorable, but by naming it “Munchkin,” we also gave a playful insider’s nod to our Munchkin tracking code, a powerful feature of our product. 2. Get exposure immediately at your event. Wearable swag has immediate returns and can be leveraged to drive brand awareness or even foot traffic on-site. Consider giving way accessories, such as glasses, hats, and socks, since attendees already have their conference attire planned out. One big potential billboard you might want to target is conference badges. Everyone loves a little flare, and Marvel Marketers tapped into that and got free on-site exposure. For small surfaces, keep design elements simple so they stand out. 3. Amplify in social media channels. If you’re going to shell out the money for a higher ticket item like a photo booth, be sure to brand the printed images and encourage people to follow your company’s social media pages and share their photos with a hashtag that ties into your brand. 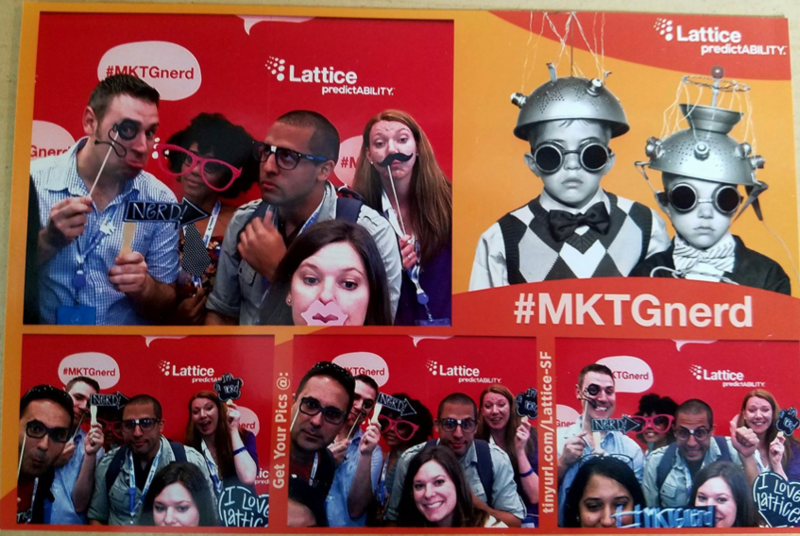 Lattice Engines tapped into that with their #mktgnerd concept. This is also a great way to build your following. 4. Maximize post-event exposure. Providing attendees with practical swag increases the likelihood they will take it home–and your brand along with it. Jennifer Clegg, Marketing Nation veteran and 2017 Summit presenter, said the most useful swag she’s ever received is a luggage tag. In my case, as a road warrior and parent, anything cute that I can repurpose as a gift to my kids wins every time. 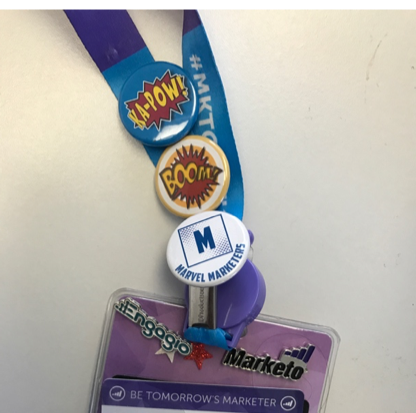 After my session at last year’s Marketing Nation Summit, I returned home with some fabulous swag from the killer Speakeasy Party thrown by our services partners Elixiter and Mambo. 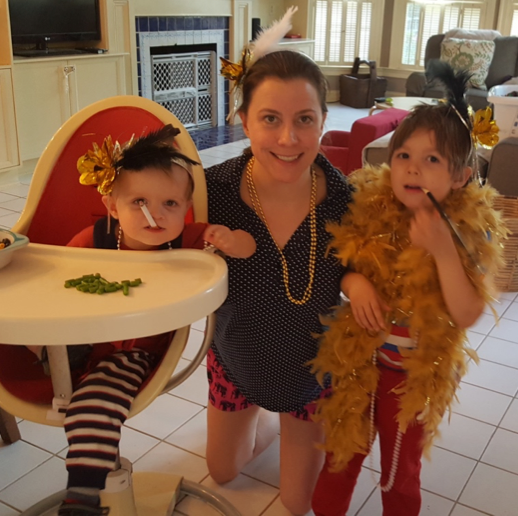 Perhaps feather boas and cigarette holders were not the best idea for 1- and 4-year-old boys, but it was hilarious. Fun? You bet. Memorable? Check. Once you nail your concept for swag and your attendees are clamoring for it, you might end up running out. But this is a good problem to have—it presents a new opportunity for follow-up. If you run out of swag, don’t close up shop. Make sure you capitalize on the booth traffic and engage with visitors to learn more about who they are. From there, you can give them something else at the booth or offer to send them something later. The latter offer is a judgment call you need to make since postage can get expensive. If you know the conference audience is right in your target sweet spot, it might make sense to go the extra mile across the board–or you could coach your booth staff to make the call on a case-by-case basis. For example, at Marketing Nation Summit last year, Vidyard ran out of their very popular V-Bot stuffed toy by the time I visited. But they took my card and said they would send me one afterward. It arrived a week or so later, and it was my “gift” to my 4-year-old. You can guess where this is going, right? Fast forward to a year later, and the only thing my son wants for his birthday is a robot party featuring his Marketing Nation robot friends. My swag-as-gift parenting move may have backfired on me–I now know swag hoarding is apparently hereditary, but it also proves the success of good swag. Are You Going to Marketing Nation Summit? This year’s Marketing Nation Summit is right around the corner, with visionary speakers, amazing partners, and a passionate tribe of thousands of marketers all gathered in one place. It is a firehose of cutting edge technology, a booster shot to your marketing chops, and has the vibe of the most fun family reunion ever. For those coming to the event as a sponsor or partner, remember that you are marketing to marketers. Bring your A-game to cut through the noise and impress. 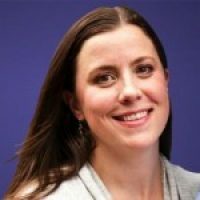 Make the most of your field marketing spend–focus on not what is most expensive but what makes a memorable connection. And to my fellow swag hunters, there is sure to be some of the coolest stuff out there. I can’t wait! So until then, what is the most creative swag you’ve gotten at a conference? Fellow working parents, anyone else pulled the swag-as-gift move?